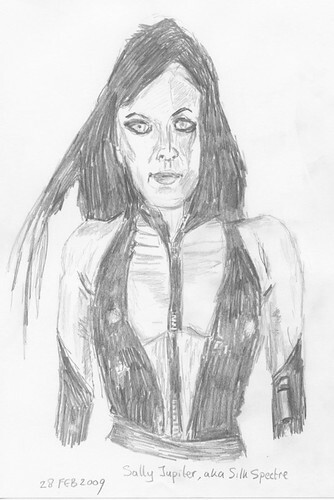 This isn’t my best drawing ever, but it is a drawing of a fictional character in the new movie “The Watchmen”, called Silk Spectre. 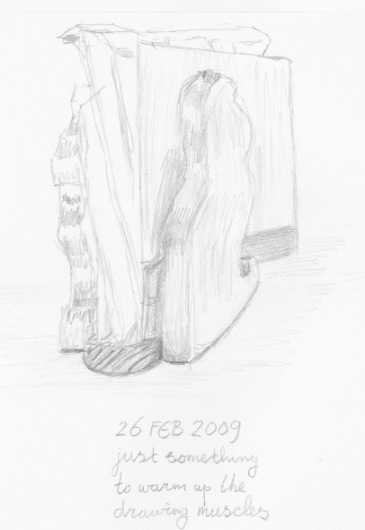 I needed a little more than an hour to create this drawing in 2B pencil on 120 g/m2 drawing paper. 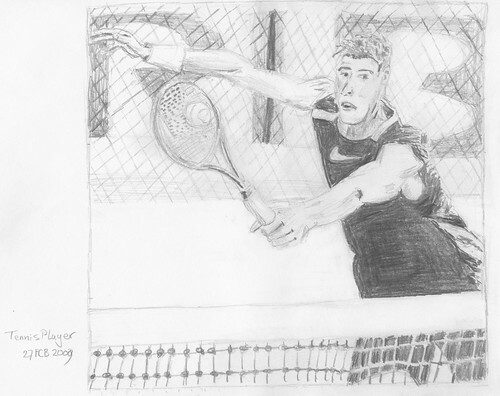 I found a photo of a tennis player in a local ad paper, and decided to use it for a pencil drawing. The facial likeness isn’t really good and there are some slight mistakes in the drawing, but overall I’m quite pleased with the result. The first things I did was to draw the frame around the photo, the net on the foreground, and on the background the letters RIB and the bottom of the back net This gave me enough guidance for drawing the tennis player. I didn’t trace the photo. It was all done freehand, in two hours, using a 2B pencil on no-name 120 g/m2 drawing paper. After I was done, I found the photo that was used in the ad paper on the Internet, look here. I created this short animation, using Leo’s laughter as a soundtrack. This drawing was made with a mouse in Paint.net, on the msi wind running on Windows 7 beta. 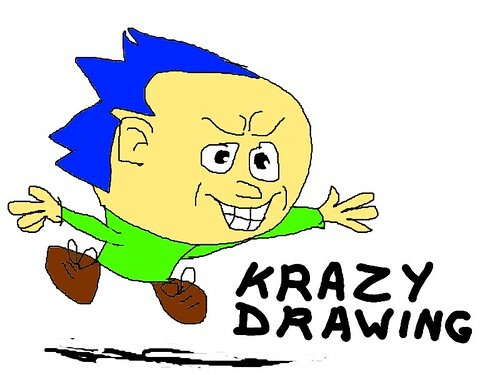 So you can draw with a mouse, only I prefer a Wacom tablet. I found a nice photo in the local ad paper and decided to scan it and draw it from the computer screen. 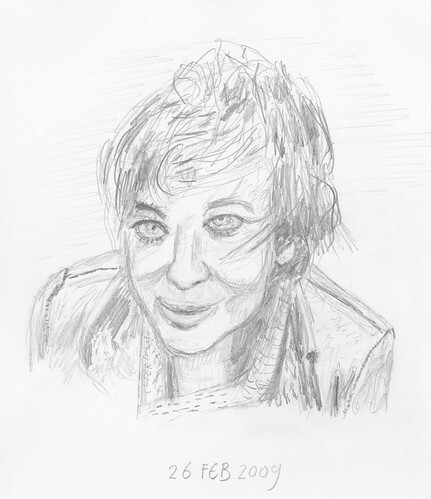 It is uncanny that when you get closer to resemblance, the drawing starts to become strange and ugly, almost not human-like. And oh, the hairdo doesn’t have enough volume. I don’t know why I missed that essential part. This is definitely a photo I should revisit once I’m better at drawing. This drawing took around 1.5 hours to complete. I had problems with the chin and the eyes, so I had to constantly redo parts of the drawing, using an eraser (which I prefer not to use). This probably explains why I missed the obvious mistake with the volume of the hairdo. Just something to warm up the drawing muscles. 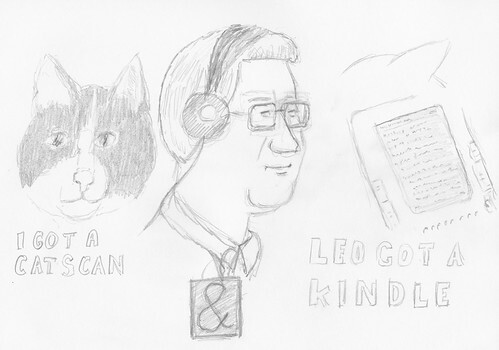 A late night sketch of Leo Laporte, his new Kindle 2 and my cat who scanned me for attention. Leo loves his new Kindle, I’m sure. Now all we have to do is wait for a color version of e-ink and most publications on paper will also appear on devices like the Kindle. Until then, it will be mostly newspapers and novels, I’m afraid.